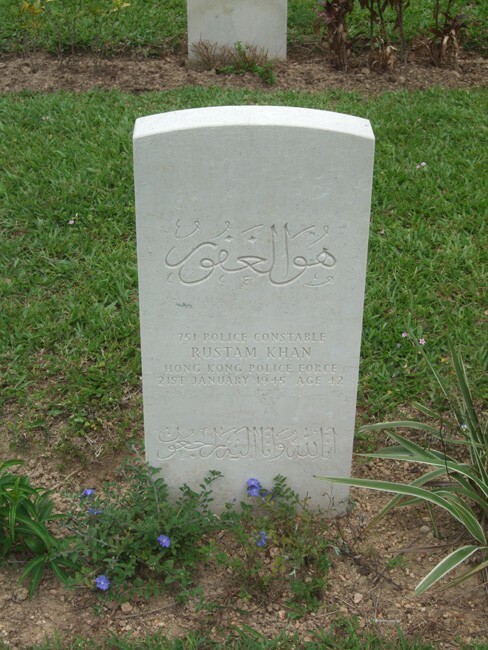 This pictorial story is not part of the World War 1 sequence of relative stories contained on this website. 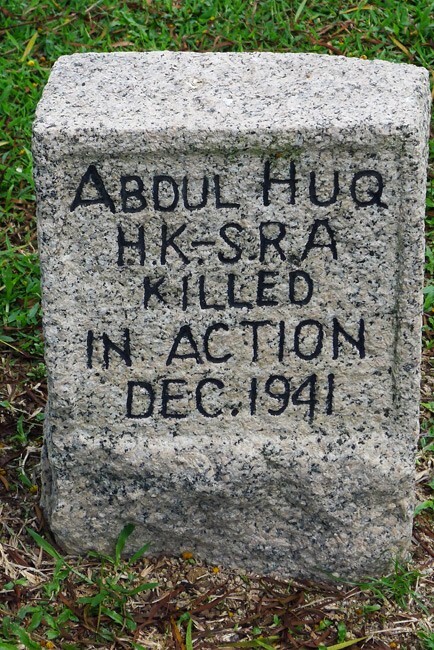 As far as I am aware, none of my relatives were living in Hong Kong at the time of the Japanese invasion of December 1941. 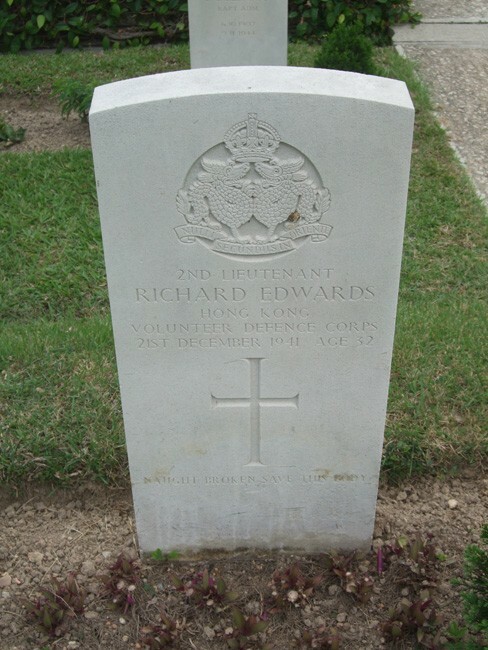 However, I have been a frequent visitor to Hong Kong since 1990 and recently paid my first visit to Stanley Military cemetery on the south of Hong Kong island in close proximity to the area of the December battle to repulse the Japanese. 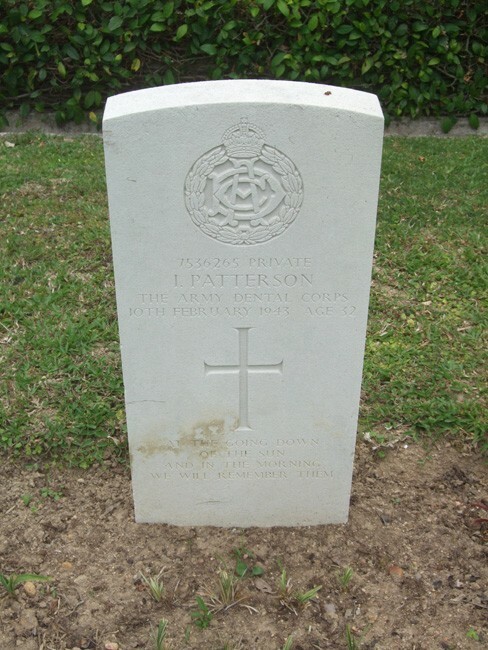 Like all Commonwealth War Graves Commission (CWGC) cemeteries it is a peaceful but striking reminder of the sacrifice made by the British forces wherever they fought and died during wars. 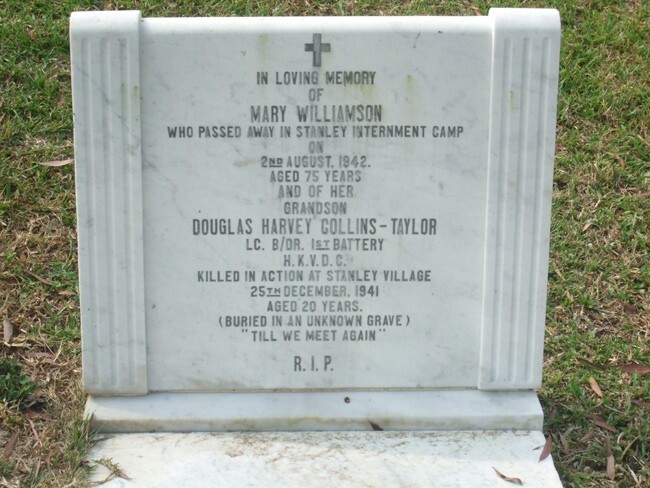 Yet, Stanley is very different to any cemetery that I have previously visited in my researches for it contains the head stones not only of the British, Indian and Canadian units who were there in 1941 but also of the Hong Kong Volunteer Defence Force , the British Army Aid Group who helped servicemen to escape the Japanese and the many civilians who died in the awful conditions of the internment camps. 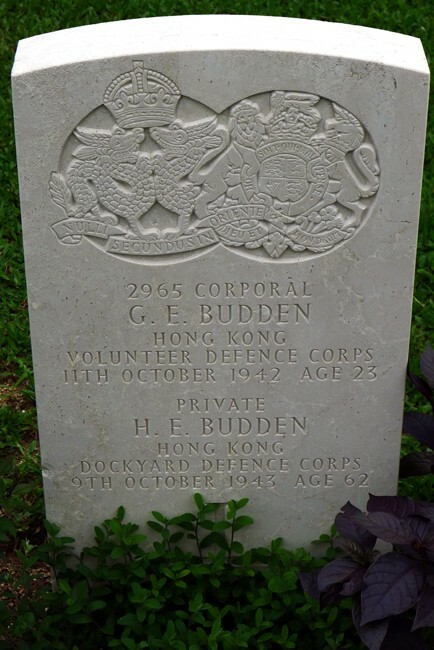 The British were ill prepared for the Japanese attack having only two brigades --- 4000 men to defend Hong Kong from an attack from the mainland or the sea.. 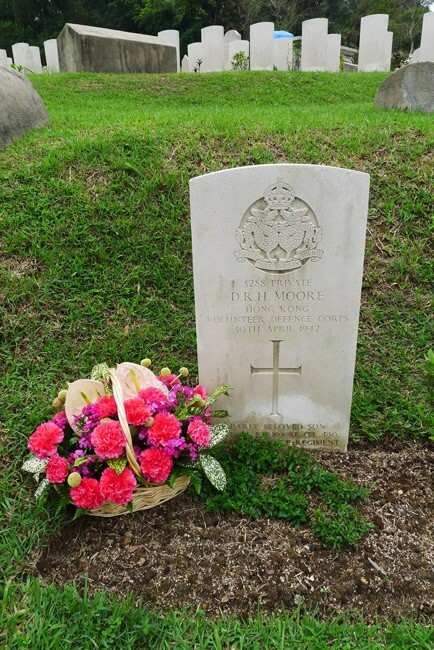 These were supplemented by the Hong Kong Volunteer Defence Force a kind of better equipped Dad’s Army made up of the citizens of all nations and from all walks of life . 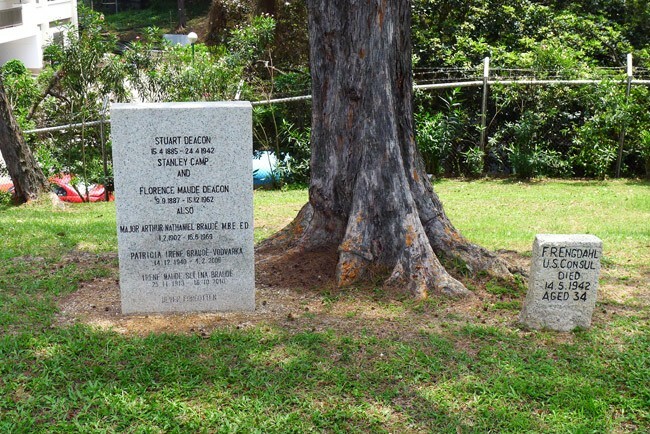 The defenders were greatly out numbered by the Japanese who were battle hardened and ruthless from their successes in China. 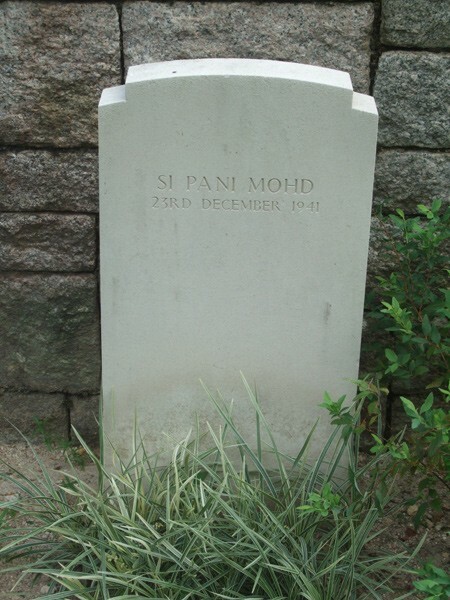 The attack came initially from the mainland and broke the defences of the Indian battalions who were hastily evacuated to the island which was then attacked from the sea splitting the defenders into two groups, one around Victoria City ( now Central District ) and the other around Stanley . 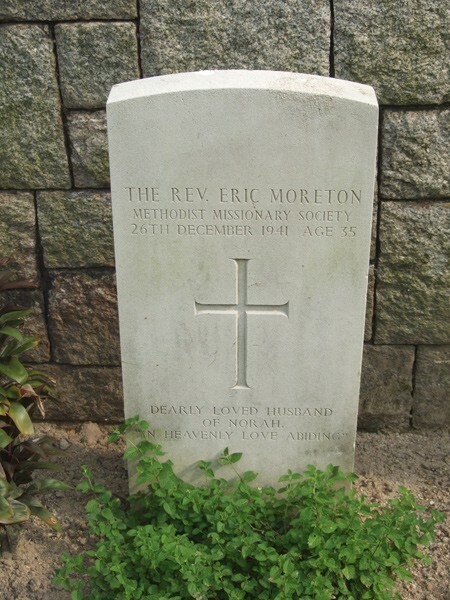 Twice the Japanese demanded surrender but they fought on against impossible odds until on Christmas Day 1941 they could go on no longer. 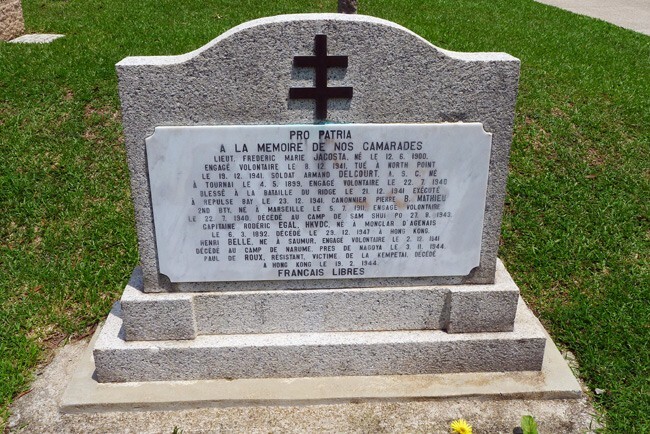 4000 had died many with no known graves whilst the survivors and civilians were interred in the camps to die in their thousands of fevers, malnutrition and in some cases of capital punishment being found guilty of various acts of courageous refusal to comply with the Japanese. 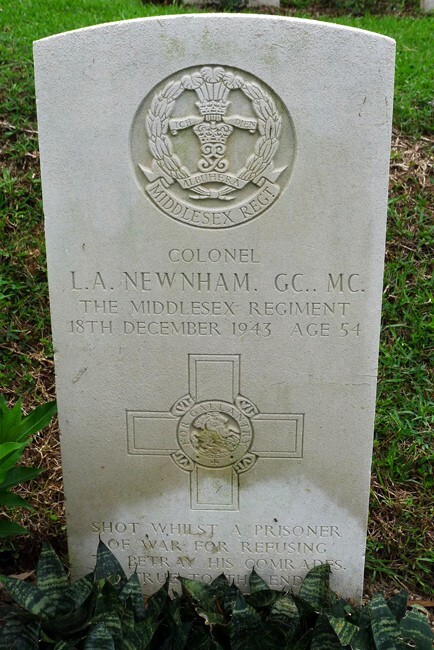 Some notably Colonel Newnham, Captain Ford and Captain Ansari were beheaded for consorting with external Chinese agents and refusing to give away their names. 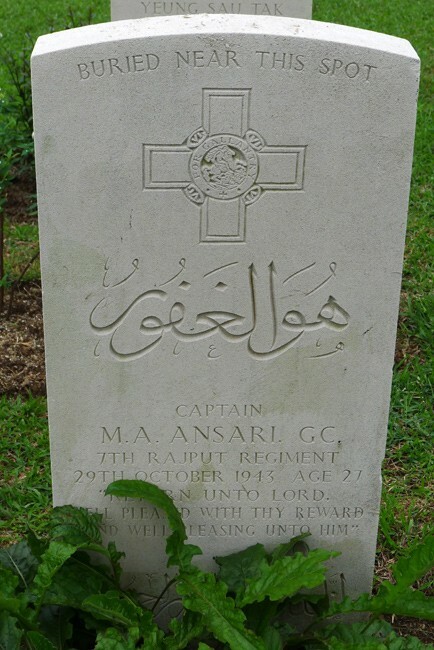 All were awarded the George Cross for their bravery. 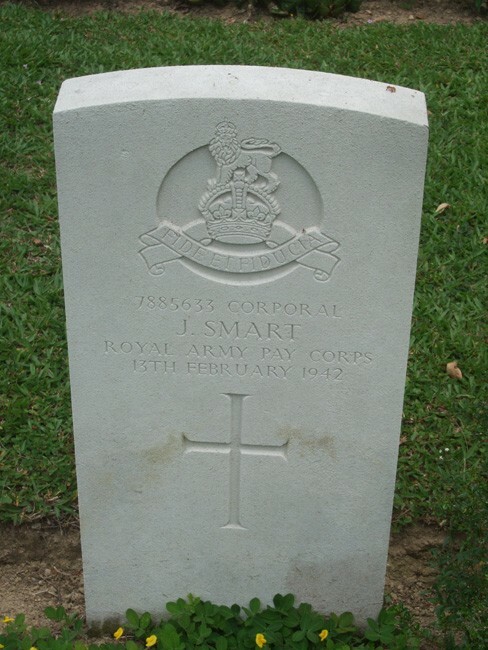 This story of bravery and courageous refusal to give into the most appalling conditions and to the Japanese harsh military discipline is all told in Stanley Military Cemetery which you can share by looking at this selection of photos each one telling a story of an individuals heroism and loss of life. 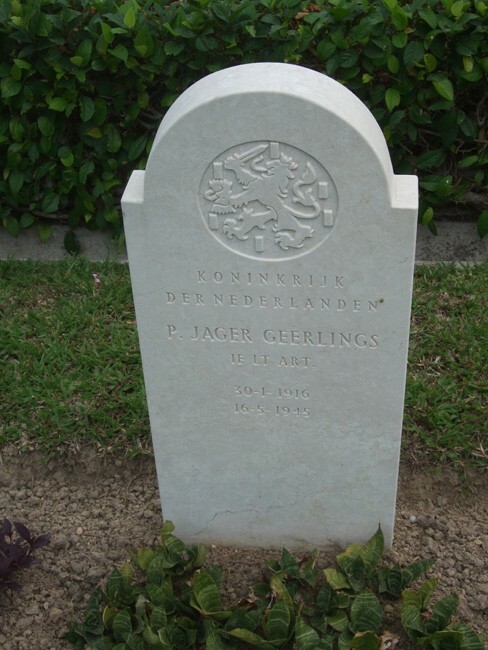 I hope that some relatives of these brave people may see their graves for the very first time. 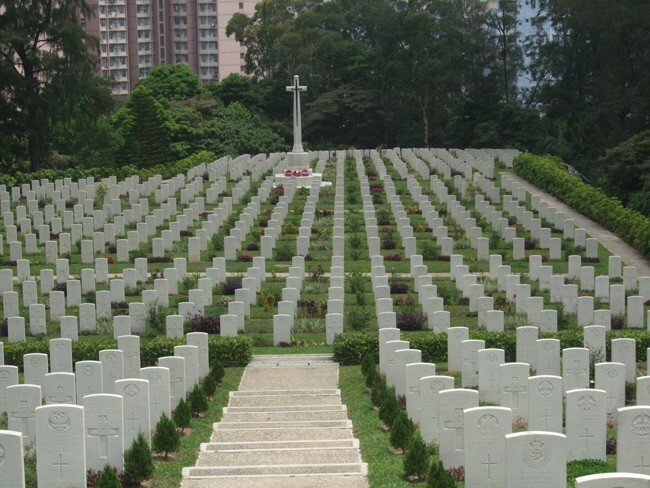 Not far from the STANLEY CWGC cemetery on Hong Kong island is SAI WAN WAR CEMETERY the largest British and Commonwealth cemetery in Hong Kong with 1500 graves from WW2 of which 30% are unknown reflecting the intensity of the defence of the island against superior Japanese forces. 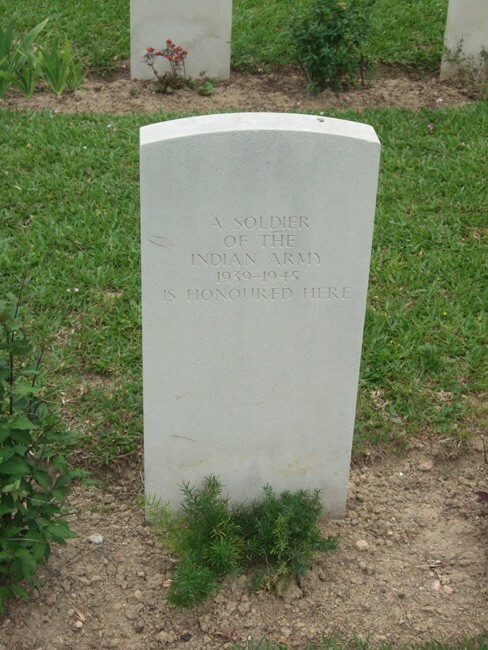 Included in the Cemetery are memorial plaques to those who have no known grave and to troops of the Indian Army who were cremated according to their faith. 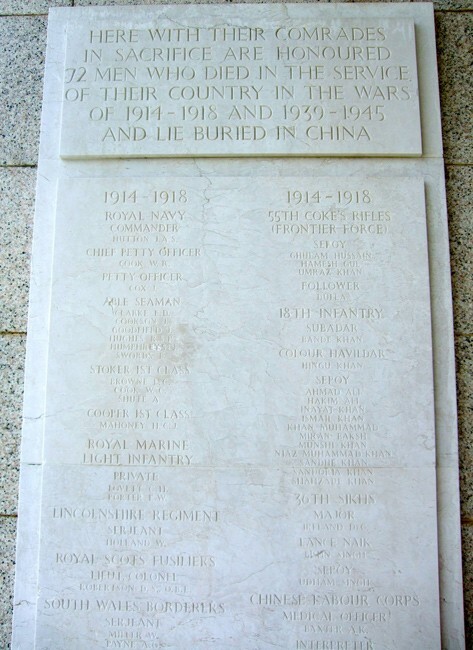 At the front entrance there is a memorial to 72 men who died during WW1 some of whom were buried in China. 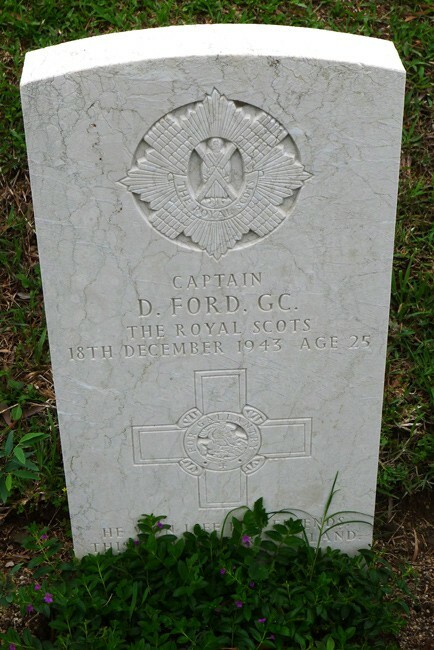 This is related the Anglo Indian and Japanese attack on the German held port of Quingdao ( Tsingtao ) in October 1914. 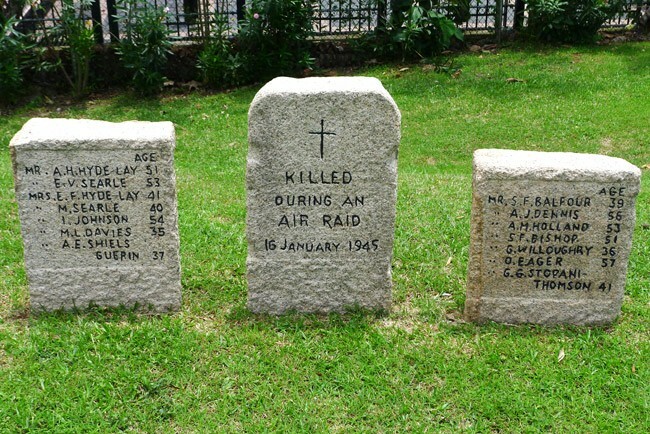 Some of these casualties were sent to hospitals in the British colony of Hong Kong and when they died of their wounds were buried in various cemeteries on the island . 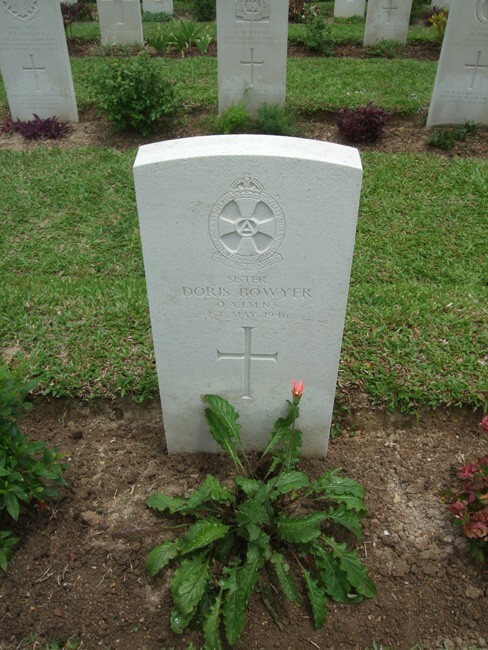 Unlike Stanley cemetery there are no civilian style graves and I could only find one medical service casualty, an Army Nursing sister Doris Bowyer who died in 1946. 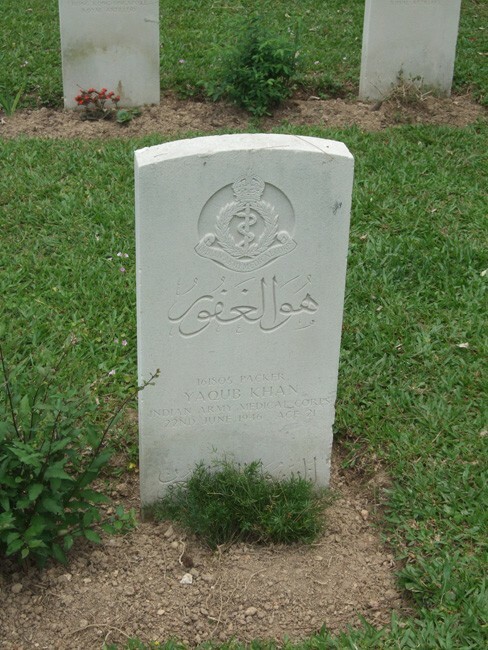 Whilst all the graves honour the life of a brave individual there is one which has a special significance for me. 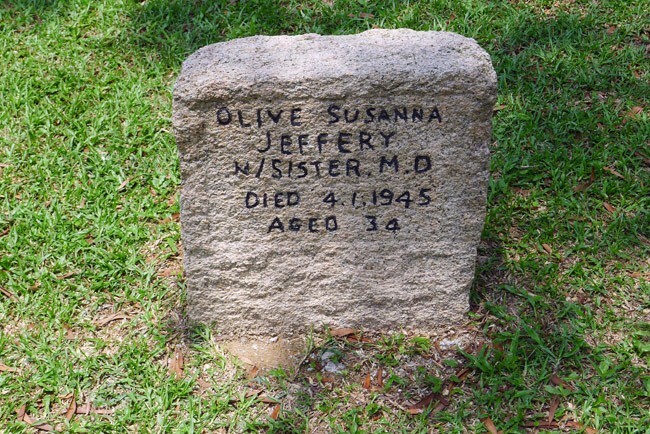 Some of you like me may remember the series of TV travelogues presented by Clive James . 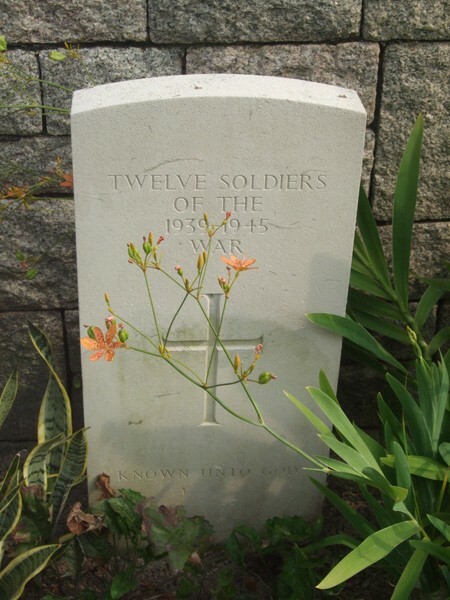 In one of them he can be seen standing next to his father’s grave in Sai Wan cemetery . 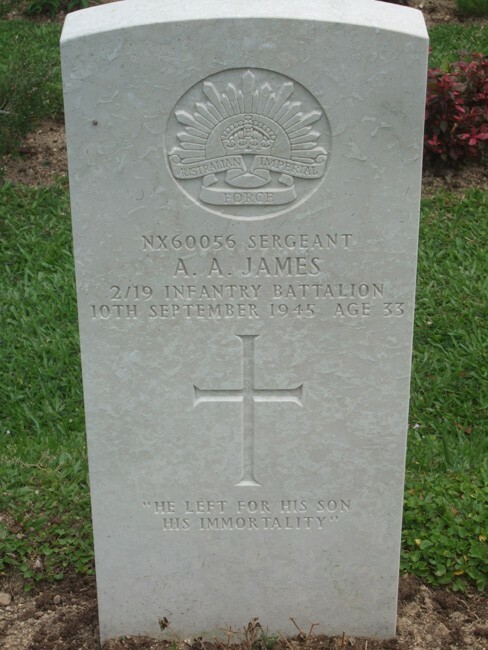 His father was Sergeant Albert Arthur James of 2/19th Battalion AIF who died of wounds on 10th September 1945 aged 33. 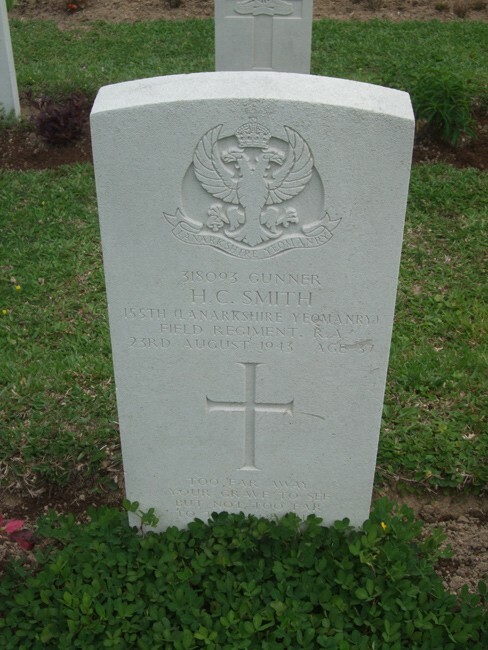 Unusually for CWGC cemeteries , the cemetery book makes a special mention of Clive James. 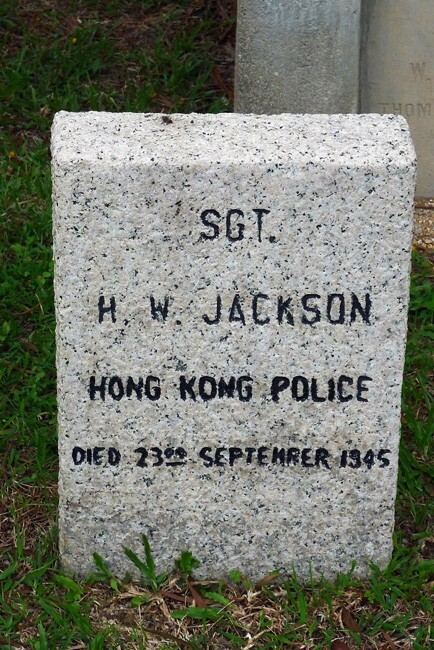 Hong Kong , as any of you who have visited there , is one of the busiest bustling cities in the world where nothing seems to stop the hive of activity . 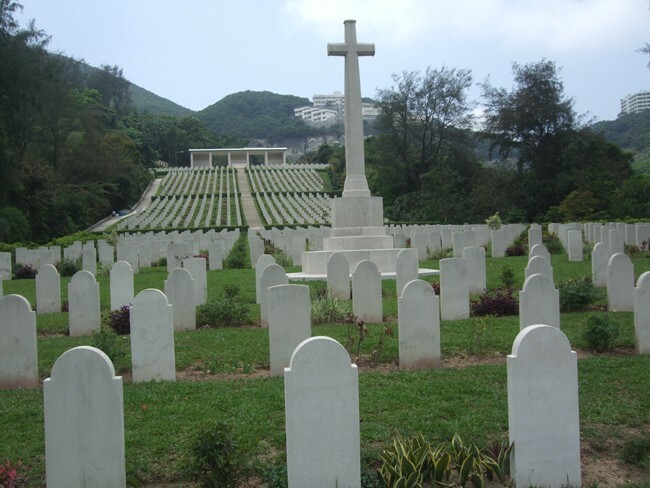 Yet, just a 30 minute train ride from central Hong Kong island, the scene of some of the bloodiest fighting of 1941, we find Sai Wan , a haven of peace and a place for reflection and contemplation as you look from the entrance down over the graves in their regimented rows towards the Cross of Sacrifice and the tower blocks in the distance ( see the pictures). 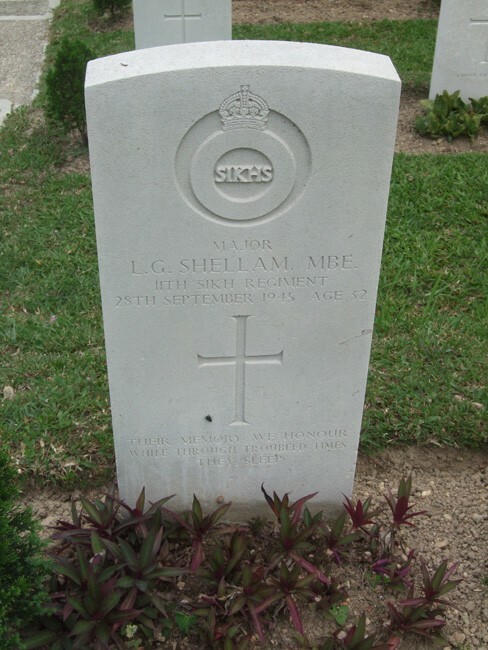 These men from the Commonwealth of Nations who gave their young lives in the defence of Hong Kong are remembered by the beauty of this CWGC cemetery. 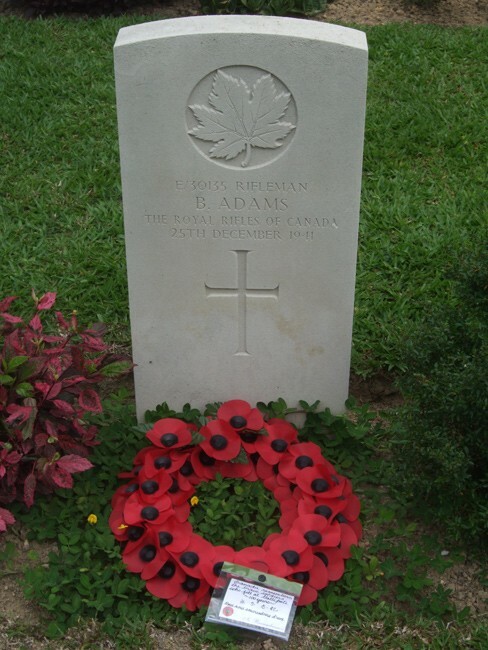 When I visited on 27th April 2015 there were many wreaths laid on ANZAC DAY 25th April adding a touch of colour to those of the tropical flowers and bushes so well tendered by the gardeners. 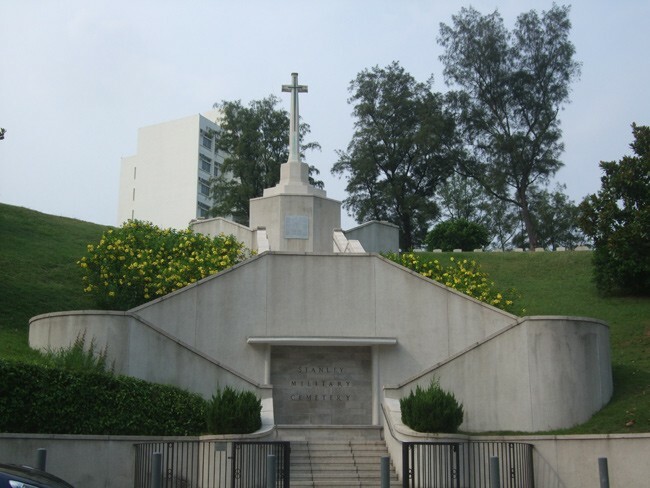 I was the only visitor at that time but the visitors book showed that many tourists make the journey of pilgrimage out to Sai Wan . 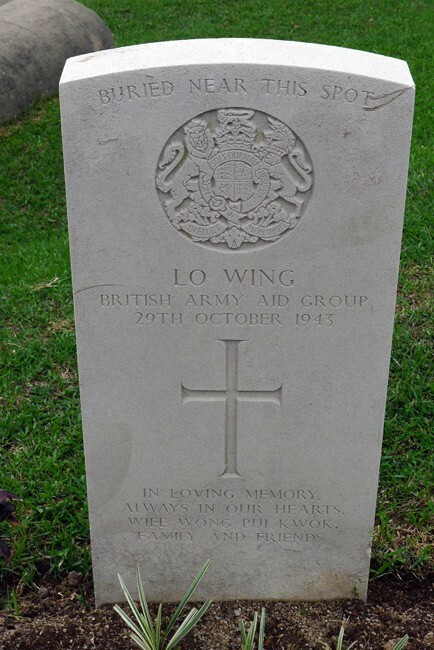 If any of you reading this get the opportunity to visit Hong Kong then please set aside some time to visit both Stanley and Sai Wan cemeteries. 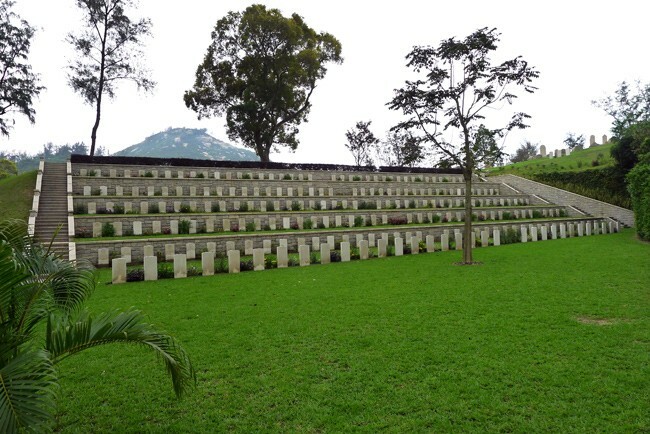 These photographs will help to show what a truly memorable place it is . 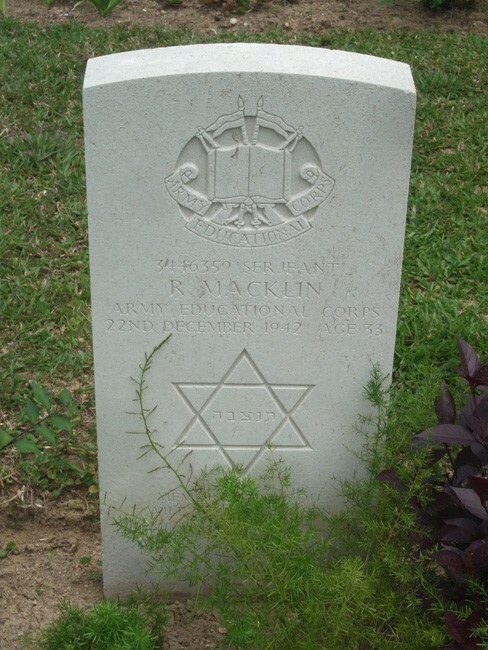 I hope that some of the relatives of these soldiers may see them and know how lovingly their kith and kin are remembered.